MANILA, July 21 -- Detained Sen. Leila de Lima on Friday expressed hope that she would be allowed to participate when the Senate and House of Representatives convene in a joint session to discuss the extension of the period of martial law on Saturday (July 22). "Sana nga ho payagan ako mag-participate bukas [special joint session of Congress]. Unfortunately, wala pa hong aksyon yung Korte Suprema sa aking nakabinbin na Motion for Legislative Furlough (I hope they allow me to participate tomorrow. 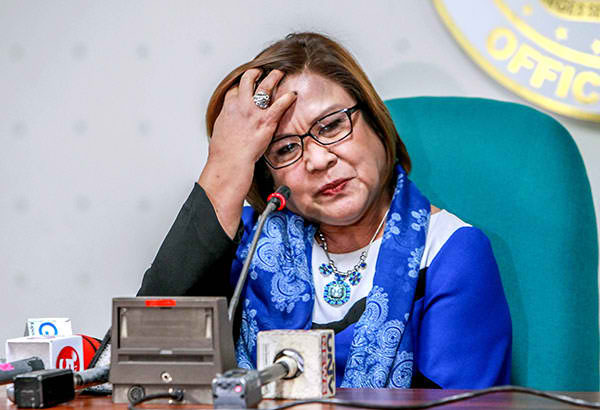 Unfortunately, the Supreme Court has not acted on my Motion for Legislative Furlough),” De Lima told reporters on the sidelines of the hearing on her ‘disobedience to summons’ in Quezon City. “Gusto ko po sana pumunta rin doon para mag-participate sa napaka-importanteng proceeding (I want to go there to participate in a very important proceeding),” she added. De Lima, meanwhile, urged fellow lawmakers to thoroughly review the justification to extend the period of martial law in Mindanao. She said that it is important to find out whether there really is an actual rebellion or if there still is an actual rebellion present in Mindanao. In May, De Lima expressed her intention to join deliberations on important measures and hearings.